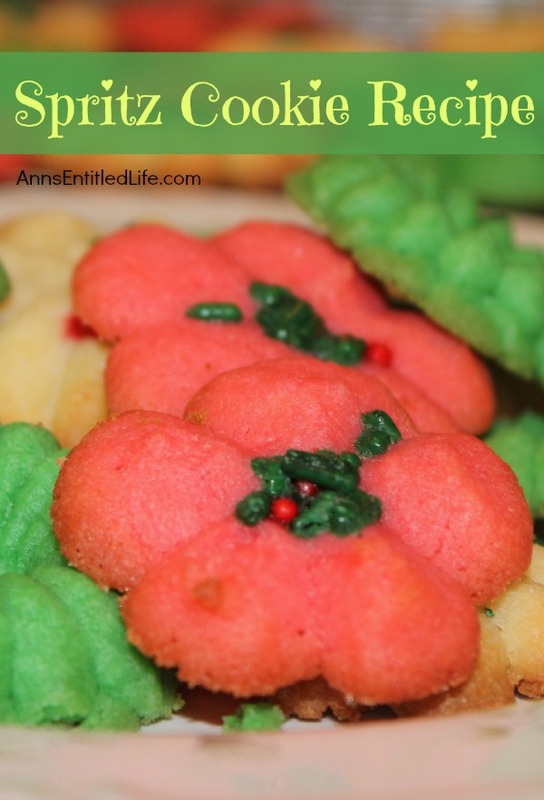 This spritz cookie recipe yields wonderful, buttery cookies! They freeze VERY well, and are holiday favorites. • Cream together sugar & butter. • Add egg yolks & vanilla. • Stir in the sifted flour. • Add food coloring if desired. If you want more than one color, divide the dough, add 6-8 drops of food coloring, mix very well. • Chill dough for 1-2 hours. • Load dough into your cookie gun (assembled according to the directions of your cookie dough gun manufacturer). • Decorate if wanted – sprinkles are best as they melt and don’t make a mess. • Bake 7-8 minutes, until bottoms are lightly brown. • When you pull the sheets out of the oven, allow to cookies rest on cookie sheet 1-2 minutes, then transfer to a wire rack to cool completely. 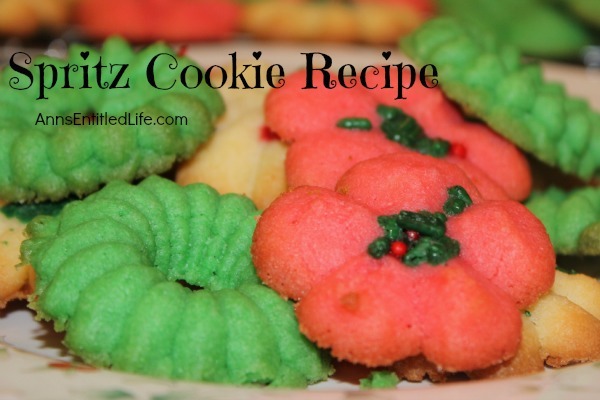 • These Spritz Cookies freeze extremely well. 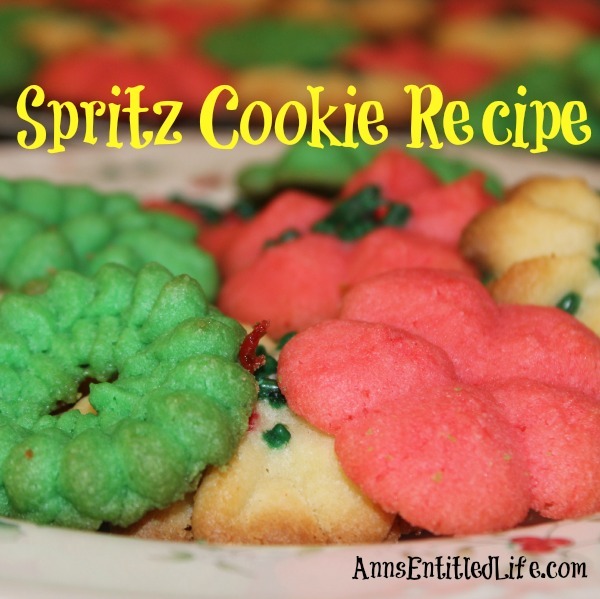 • To print this Spritz Cookies Recipe, click here. 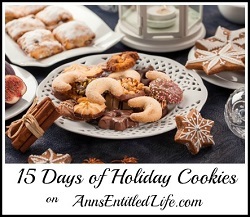 Day 11 of 15 Days of Holiday Cookies on Ann’s Entitled Life the brings us a buttery Spritz Cookies Recipe! These looks so simple to make and I bet yummy. I have never used a cookie gun, maybe its time. I am so behind on my cookie baking this year. Probably not a bad thing.